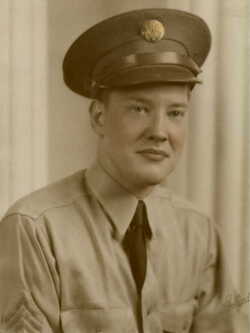 George W ALDINGER, son of Mrs Fred S Lewis, was born on May 23, 1920 in Ohio. He was enlisted on February 23, 1944 in Fort George G Mead, Maryland and received ASN 33841829. He was finally assigned to the 193rd GIR / 17th AB. 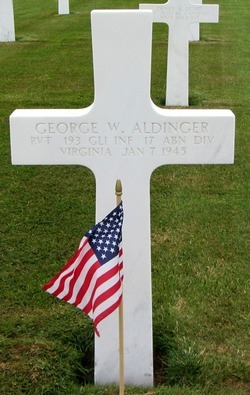 George W ALDINGER was killed in action on January 07, 1945 during the Battle of Dead Man's Ridge. He had 24 years-old. 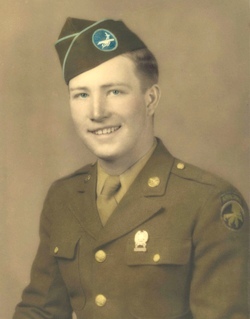 Howard S BODEN from Patton in Allegheny County, Pennsylvania, was born in January 30, 1913. He was the son of Charles A BODEN and Nellie SIMPSON. He entered service in Pittsburg, Pennsylvania in December 01, 1943, received ASN 33710280 and was finally assigned to the 193rd GIR. He was killed in action on January 14, 1945. Donald Richard FLADUNG was born at Wellman, Iowa on February 22, 1925. 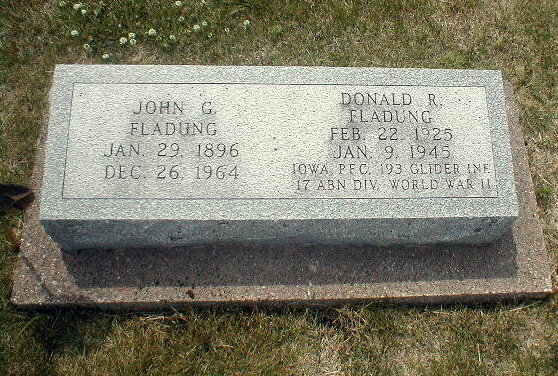 He was the son of John G FLADUNG and Clara GREINER. He entered service in Camp Dodge Herrold, Iowa in July 19, 1943 and received ASN 37675441. He was send to Camp MacKall, North Carolina and was assigned to HQ&HQ/193rd GIR. He was killed in action on January 09, 1945 in Belgium, during the battle of Dead Man's Ridge. 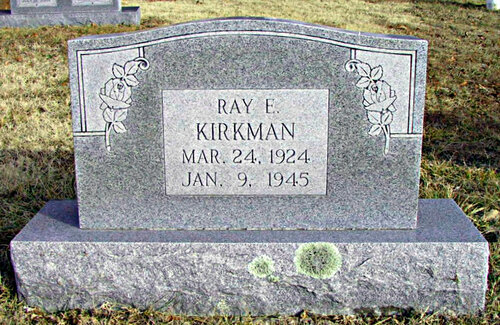 His body returned stateside in 1949 and he his now permanently buried at Saint Marys Cemetery, Keota, Keokuk County, Iowa. 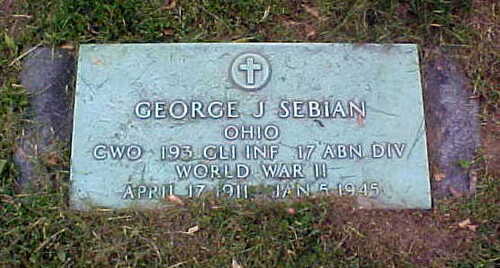 George J SEBIAN, son of Mr and Mrs Joseph I SEBIAN was born on April 17, 1911 at Painesville, Lake County, Ohio. He was the oldest of the five brothers (all served in the Army during WWII) and attended St. Mary's School and Cathedral Latin in Cleveland from which he was graduated in 1930. Then he attended John Carroll University in Cleveland before being employed by the Diamond Alkali Co. and attended evening school at Fenn College in Cleveland where he was graduated in accouting and business administration. He was finaly employee of the Gordon Emsley Co before being drafted in the army. 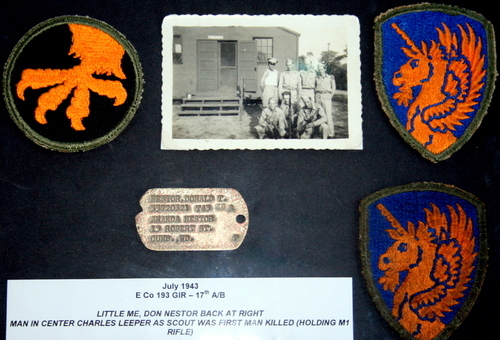 He was enlisted in the Army on March 24, 1942 at Camp Perry Lacarne, OH and received ASN 35289408. On April 1943, he was Sergeant and then promoted Chief Warrant Officer and received ASN W-2124399. He was finally assigned to the Cie Hq & Hq / 193rd GIR, possibly during spring or summer 1944. George J SEBIAN was killed in action in Belgium, on the National 4 road, not far from Bastogne, by a mine explosion while he made a movement toward the front line on January 05, 1945 at 10h AM. He had 33 years-old. 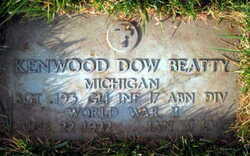 Kenwood D BEATTY was born at Muskegon, Michigan on June 22, 1922. He was the son of Clarence William "Pat" BEATTY and Hazel Ann DOW. He was volunteer for the Army and entered service at Detroit, Michigan in September 08, 1942. He received ASN 16109842 and was finally assigned to A/193rd GIR than located at Camp MacKall, NC. 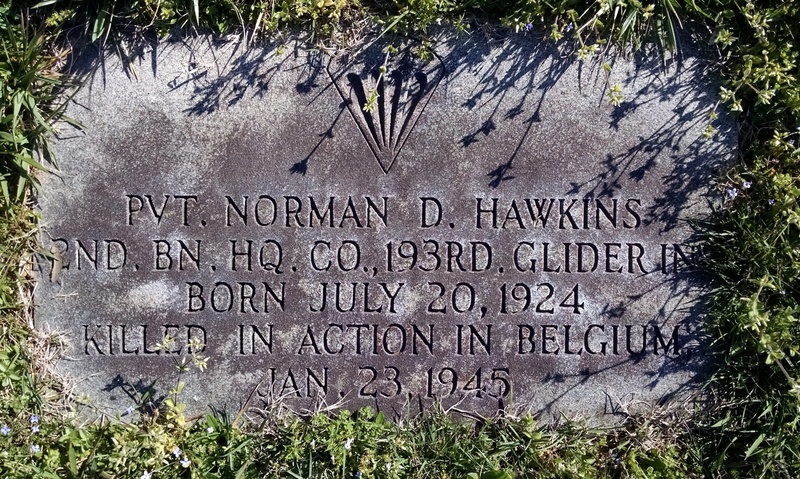 He was shot down on January 29, 1945 while his Company tried to seize the hilltops west of Our river. He died of his wounds two days later, on January 31, 1945. He has 22 yrs-old. His body returned stateside in 1949 and he his now permanently buried at White Chapel Memorial park Cemetery, Troy, Oackland County, Michigan. Calvin FISHER, son of William H and Eva L FISHER was born on November 10, 1924 at Wattsburg, Venango County, Pensylvania. He was member from a family of ten children. He was enlisted in the Army on April 07, 1943 at Erie, PA and received ASN 33436524. He was rapidly assigned to the Cie A / 193rd GIR. Calvin FISHER died of wounds received during the Battle of the Bulge on January 29, 1945. He had 20 years-old. He is now permanently buried at Luxembourg American Cemetery, Luxembourg, Great-Dutchy of Luxembourg. Donald A FILLMORE was born in 1923 in New-York. He was the son of Leta J MACAGG FILLMORE. He entered service in April 05, 1943 at Rochester, New York and received ASN 32844621. He was finally assigned to B/193rd GIR. He was killed in action on January 17, 1945. He as 21 years-old. His body returned stateside and he his now permanently buried at Marion Cemetery, Marion, Wayne County, New York. 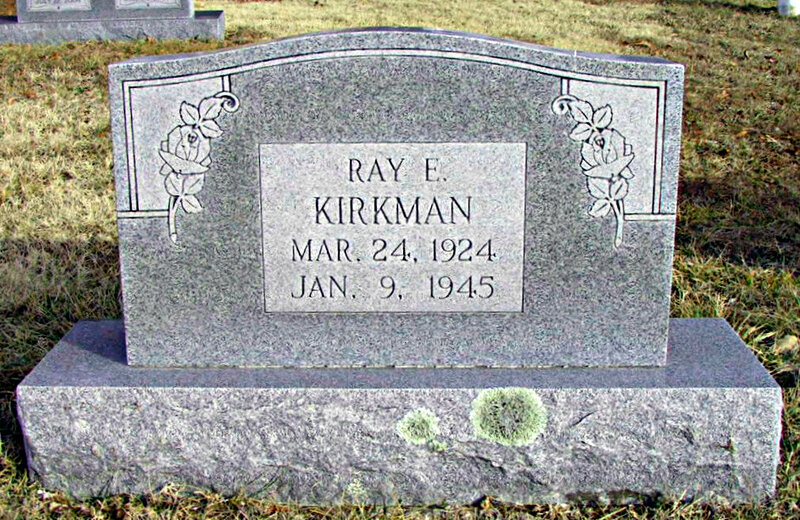 Ray E KIRKMAN was born at Montauk Dent, Missourri on March 24, 1924. 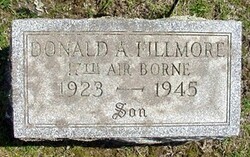 He was the son of Arch L KIRKMAN and Myrtle DAVIS. He entered service in Fort Leavenworth, Kansas in April 09, 1943, received ASN 37521103 and was assigned to C/193rd GIR than located at Camp MacKall, NC. He was killed in action in Belgium, during the battle of Dead Man's Ridge on January 09, 1945. His body returned stateside in 1949 and he his now permanently buried at Boone Creek Cemetery, Licking, Texas County, Missourri. Norman D HAWKINS, was born on July 20, 1924 in North Carolina. He was enlisted in the Army on February 25, 1944 at Fort George G Meade, Maryland and received ASN 33842102. He was lately assigned to the Cie HqII / 193rd GIR, possibly during summer or autumn 1944. 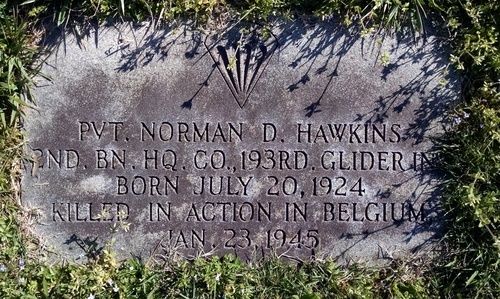 Norman W HAWKINS was killed in action in Great Dutchy of Luxembourg in the area of Hautbelain on January 23, 1945. He had 20 years-old. His body returned stateside in 1949 and he is now permanently buried in the Oaklawn Cemetery, Asheboro, Randolph County, NC. 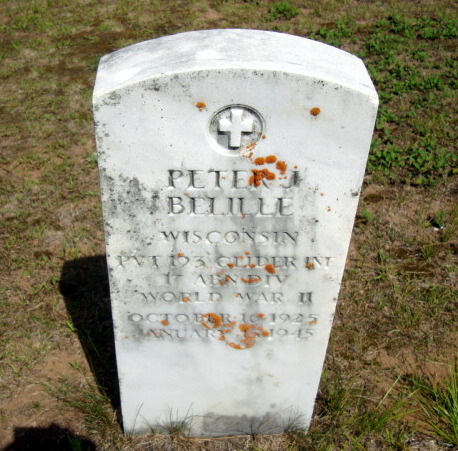 Peter J BELILLE was born on October 16, 1925 in Wisconsin. He entered service in March 25, 1944, received ASN 36958947 and was finally assigned to D/193rd GIR. He was wounded in action and died of wound on January 15, 1945. He as 19 years-old. His body returned stateside in 1949 and he his now permanently buried at Reserve Cemetery, Sawyer County, Wisconsin. Walter D HODGES from Polk County, Arkansas, was born in 1921. He entered service at Fort Bliss, El Paso, Texas in January 11, 1944, received ASN 38579012 and was finally assigned to Cie D - 2nd Battalion - 193rd GIR. He was killed in action on January 15, 1945 during the combat for the final liberation of Bertogne, Belgium. 1943, Camp McKall, NC. Donald is the first man to right, second row (unpublished pic, TFH collection). "CUMBERLAND — On June 10, 2015, Donald Nestor, 90, of Cumberland, passed away at the Golden Living Center. Donald was born on Sept. 12, 1924, in Cumberland. 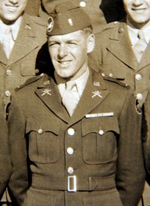 Donald graduated from Fort Hill High School in 1942, and he served in World War II in the 17th Airborne Division as a paratrooper. 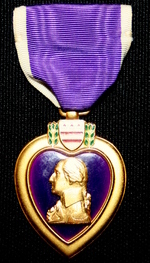 He was awarded the Bronze Star for service from 1943 to 1946. Donald retired from Kelly Springfield Tire Company. He was a member of the Cumberland Pentecostal Church. 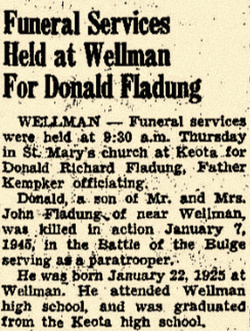 Donald was the son of the late Amanda (Troutman) and Charles Nestor. Besides his parents, he was also preceded in death by his wife, Ruby M. (Cook) Nestor; brothers, Bud Nestor and Lindy Nestor; and grandson, Michael Twigg. Donald is survived by his son, Don Nestor and wife, Linda, of Royston, Ga.; daughters, Debra Dean, Cumberland, and Connie Twigg and husband, Rick, Cumberland; grandchildren, DJ and wife, Heather, Shelley and husband, Brian, Tara Dean, Julie Dean, Matt Twigg, and Sara Twigg; and great-grandchildren, Austin, Chase, and Brandon Nestor, Savannah and Brett Chambers, and London Lars Dean; as well as, numerous nieces and nephews. Friends will be received at Scarpelli Funeral Home, P.A., 108 Virginia Avenue, Cumberland, on Friday, June 12, 2015, from 1 to 2 p.m.
A funeral service will be conducted at the funeral home on Friday, June 12, 2015, at 2 p.m. with Donald’s son, the Rev. Donald Nestor, officiating. Military Honors will be accorded by the Post 13 Veteran’s Honor Guard. Interment will be in Sunset Memorial Park. Pallbearers will be Rick Twigg, Brian Chambers, Matthew Twigg, D.J. Nestor, Chase Nestor, and Jim McCullough." This is the sad news of Donald T Nestor's death. 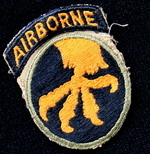 Donald was very special for me as it is through him I have discovered the 17th Airborne Division in the the early 90's ! At this time, a good friend of mine has found one of his dog tag in a wood located between the village of Hemroulle (Bastogne) and the National 4 road (this wood no longer exists). After historical researches and the precious help of Ed Siergej, we have learned that Donald was member of the Cie E / 193rd GIR and the very good surprise was to read he was still alive ! He answered to the letters and finally my friend have send him the dog tag but Donald resended it with a pic and few patches. It was a beautiful gift ! Once again, thanks you sir for your action in my country ! You'll find the obituary above. A special thanks to Tara for his help. 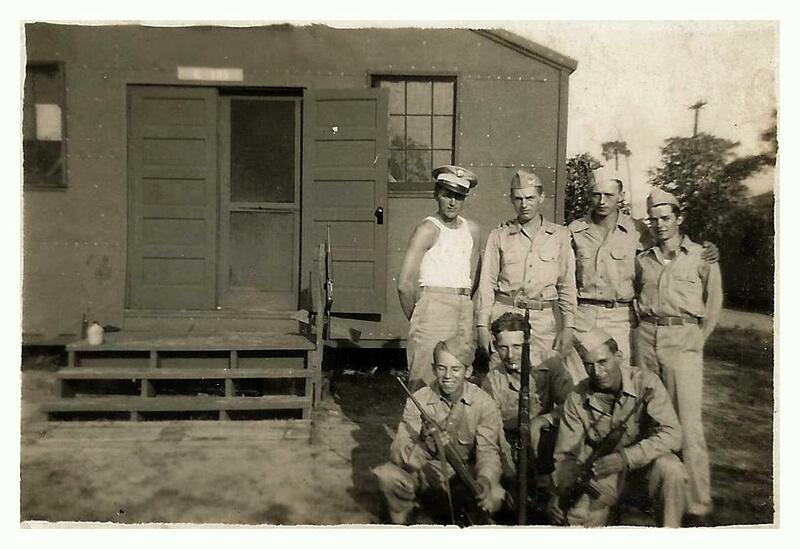 Melvin M LAGOON, circa 1943, when he served in Company E - 193rd GIR (with courtesy of Melvin Lagoon and family). Melvin Mike LAGOON was born on May 10, 1923, in Saint Paul, Minnesota and raised in the grandparent's farm in Oakdale with his younger brothers and sisters. On April 15, 1943, the day of the activation of the 17th Airborne Division, Melvin was drafted in the United States Army and received Army Serial Number 37558014. 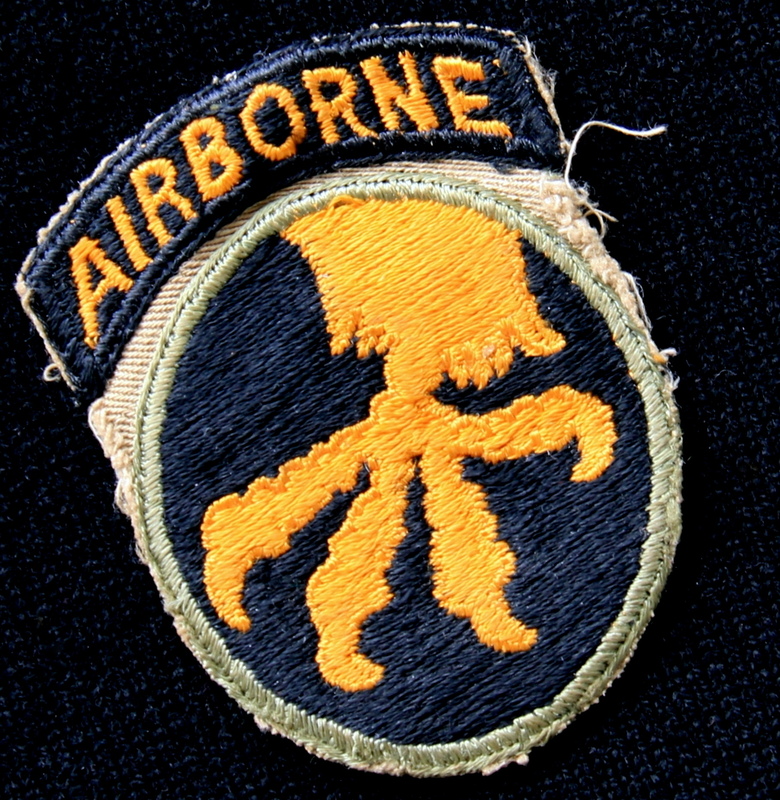 He was volunteered for the new Airborne corps and was sent to Camp MacKall, North Carolina where he was assigned to E Company, 193rd GIR, 17th Airborne Division as assistant gunner in a mortar squad. Melvin completed his basic training and was qualified Gliderman on December 23, 1943. 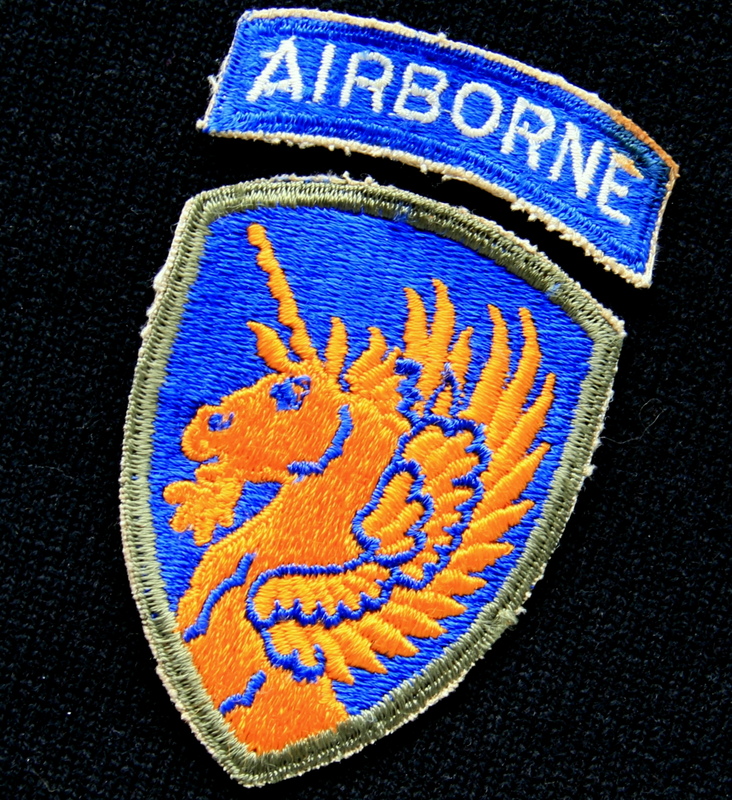 The 17th Airborne Division was than involved in the Tennessee maneuvers and joined Camp Forrest, Tennessee on March 27, 1944. 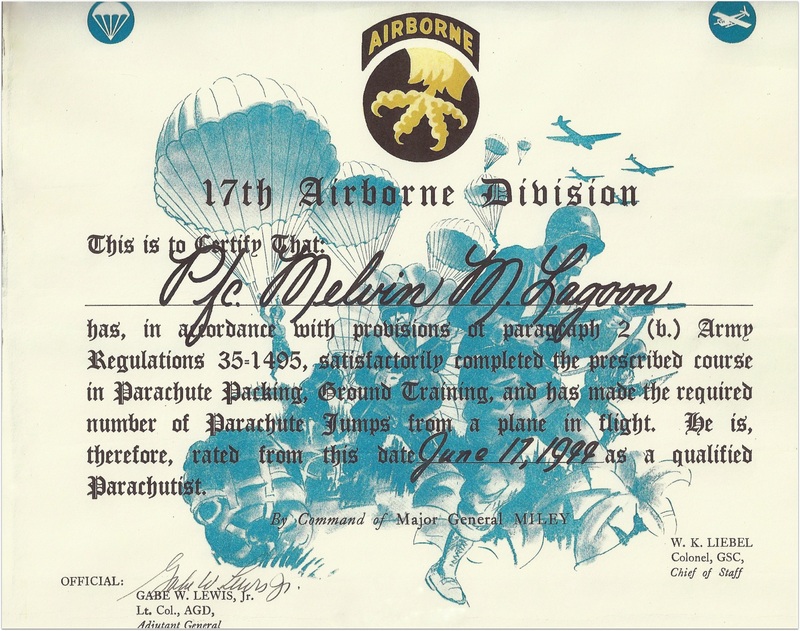 Melvin joined the parachute training school program and was qualified paratrooper on June 17. The Division leaved the States on August 14, 1944 and arrived in England on August 20. 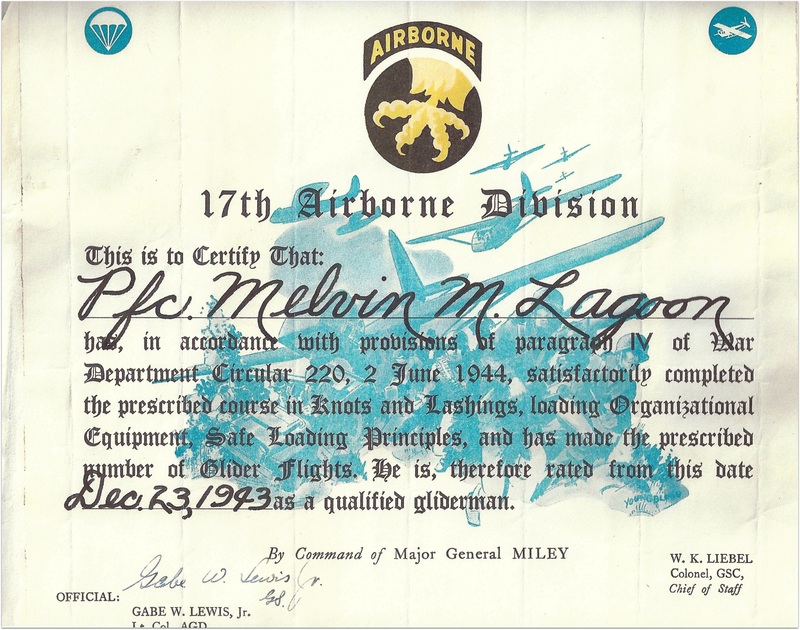 Melvin discovered the horror of the war when the 17th Airborne was engaged in emergency occupation on December 1944, during the battle of the Bulge. He initially defended the Meuse river before joining the frontline north of Bastogne on January 1. He underwent baptism of fire on January 7, 1945 in the attempt to seize the high grounds north-east of Mande-Saint-Etienne. At the end of the day, 144 comrades felt to the liberation of Belgum. First thing in the morning Melvin's 2nd Lt Telesca had died as well as Sgt Michael Saus fell to shelling, sitting right along his side. Winter 1944-45 was one of the worst cold spells of the 20th century and many men suffered from frostbite. 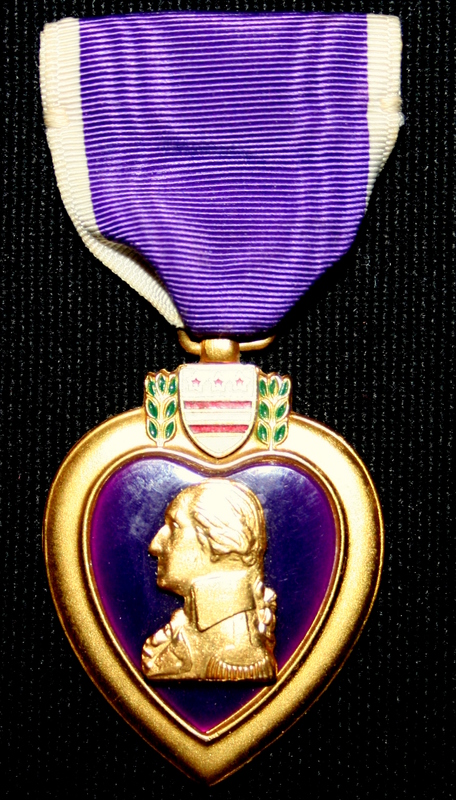 Melvin ended his first campaign on February 10, 1945 when his unit was send in Châlon-sur-Marne, France. After more than one month of heavy fighting in awful weather conditions, the 193rd GIR was decimated. It will not survive to this campaign and the survivors will be included in the 194th GIR in readiness of operation Varsity. 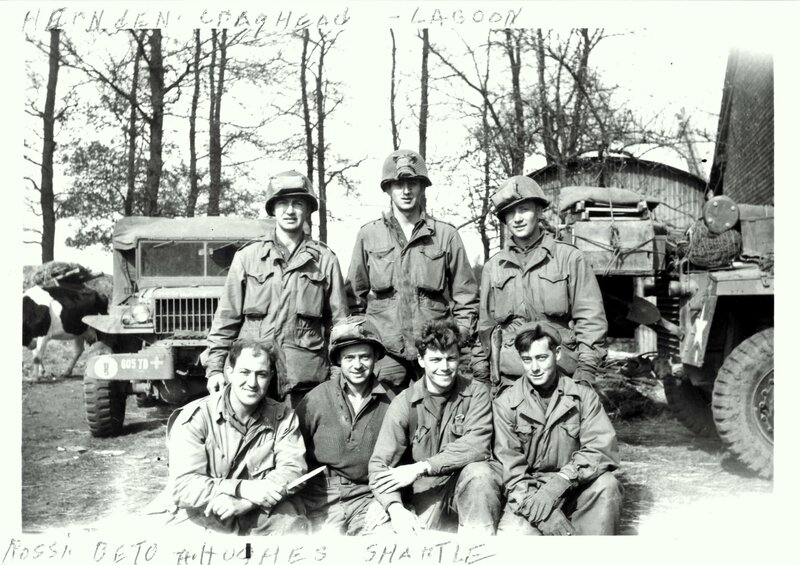 While in Châlon-sur-Marne, Melvin took rest and started again training and the re-organization in preparation of operation Varsity, the last and largest airborne operation from the WWII. 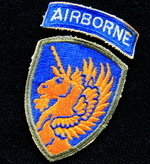 Due to heavy casualties suffered during the battle of the Bulge, the 193rd GIR was disbanded and the survivors were mainly included with the remnants of the 550th AIB in the new 3rd Battalion of the 194th GIR. Melvin was attached to Weapons Platoon, E Company, 194th GIR as 60mm mortar's assistant gunner. On March 21, Melvin moved to the marshaling area with the 2nd Battalion of the 194th GIR toward A-58 airfield near Coulommiers, France. On March 24, 1945, he took off at 07h30 on board a CG4A glider in serial A-9. Following a quiet flight in perfect weather conditions, the glider came under fire and was hit by flak over the Rhine. He landed on landing zone "S" around 10h30 AM, close to the Issel River. Melvin remembers : "This is when I noticed a shrapnel from a 20mm Flak gun had torn through my musette bag, without hitting me". 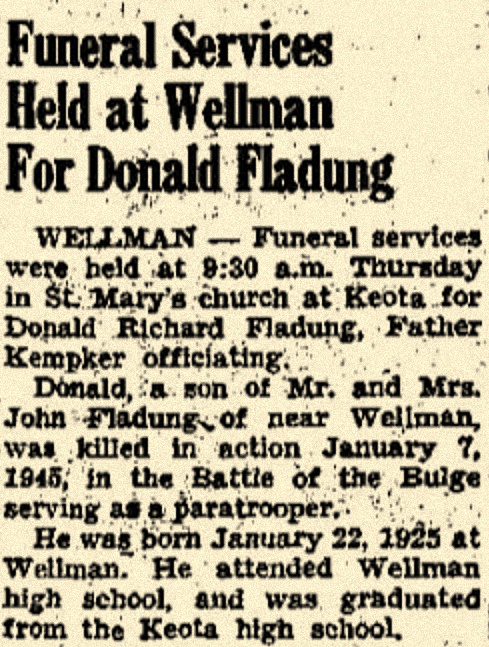 This day remains as another of the most tragic of the war for Melvin because he lost his good friend Pfc Clarence Putman, killed in action. This pic was probably realized in the early days of April 1945, when the 605th Tank Destroyer Battalion was in support of the 194th GIR for the battle of Munster (see the identification markings on the Dodge WC's bumper). It shows on the first row (left to right) : Azio S ROSSI, Elmer J BETO, Arvine E HUGHES & Edward J SHARTLE. On the second row (left to right) : unknown soldier, Paris B CRAIGHEAD and Melvin M LAGOON (with courtesy of Melvin Lagoon and family). He made the German campaign without trouble and arrived in Mülheim on April 14 where he started his occupation duty with mission to provide help and assistance to the prisoners of war, forced laborers and local population. 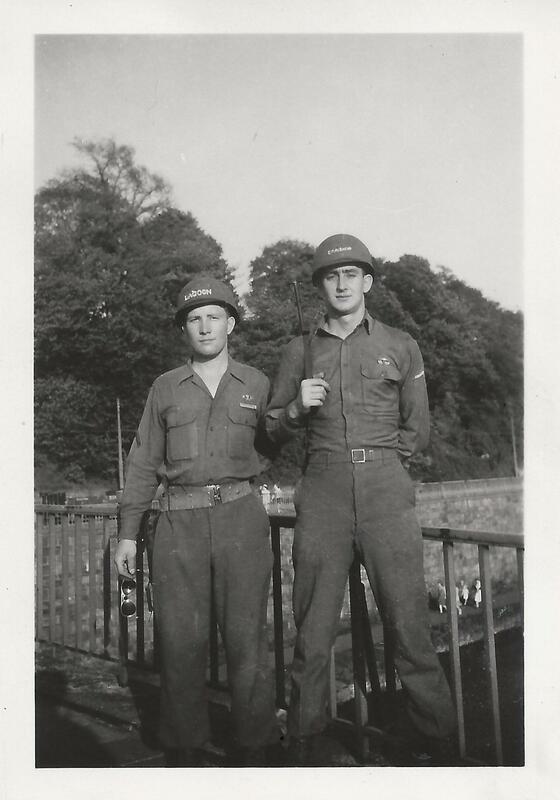 Melvin M LAGOON (left) and Paris B CRAIGHEAD during the occupation duty in Mülheim, Germany , circa mid April to mid July 1945 (with courtesy of Melvin Lagoon and family). The German capitulation, on May 8 came as a relief for the entire Regiment. Melvin was assigned to peace-keeping duty. As a military Policeman, with his buddy Harold Osborn, he was assigned to guarding bridges and searching houses and buildings for weapons and ammo. At the end of July 15, Melvin left Mülheim and moved to Lunéville, France, where he spent a few days before his transfer to Le Havre. As he didn't have enough points to be discharged, he was transferred to C Company, 517th Parachute Infantry Regiment, 13th Airborne Division, scheduled to be send in the Pacific theatre. On August 13, 1945, Melvin boarded the USS Oneida Victory and reached New York Cty on August 22. The use of atomic bomb obliged the japanese to surrender and Melvin was discharged on December 19, 1945. 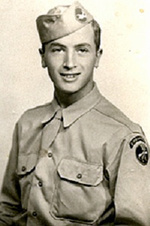 Pfc Melvin LAGOON awarded Gliderman and Paratrooper Wings, American Campaign Medal, European African Middle Eastern Theater of Operation Medal with 3 stars and 1 arrowhead, Good Conduct Medal and CombatInfantryman Badge, and in later years the Bronze Star Medal. This tribute has been realized with the help of Melvin LAGOON and his family (a special thanks to Diane M CLARK). Elton L LONG from East Green Street, Clinton in Henry County, Missouri, was born May 4, 1917. He was the second son of Stevie and Ethel Long who resided about six miles south of Urich. His mother preceded him in death 16 years to the day of Elton's passing. Elton grew to manhood in this vicinity where he was converted and baptized in the Methodist church at White Oak. March 11, 1939 he was married to Miss Ruth Ellerman of LaDue. They lived a few months at Lincoln then came to Clinton where Elton was employed at Larabee mill.When he entered the service they were living in Pleasanton, Kansas, where was in the maintenance department of the Frisco railroad having served them two years. He entered service in Fort Leavenworth, Kansas in April 06, 1943, received ASN 37520310 and was assigned to E/193rd GIR then located at Camp MacKall, NC. He was killed in action in France, during a night patrol on December 27, 1944 and was so the first man killed in action of the 193rd GIR and may be of the whole 17th Airborne. Leslie Howard Telesca from Rome, NY was born in 1921. He entered the Army in October 15, 1940 at Oneida, NY after two years of service with the National Guard Company of Oneida. He received ASN 20270952 and served in Hawaï for two and a half years and Australia for eight months before returning to USA to attend Officers Candidate School at Fort Benning, GA. He received than ASN O-1318342 and was finally assigned to the Company E of the 193rd GIR. He was killed in action on January 7, 1945 in the area of Mande-Saint-Etienne. 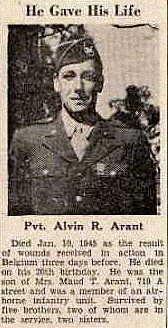 Alvin R ARANT was born at Marshall, Kentucky on January 10, 1925. He was the son of Hugh Byrd ARANT and Maude THOMPSON GOUCHER. He entered service in Evansville, Indiana in April 06, 1943, received ASN 35728999 and was assigned to F/193rd GIR then located at Camp MacKall, NC. 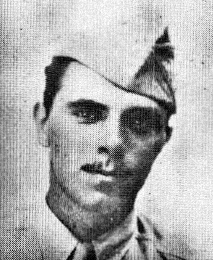 He was wounded in action on January 07, 1945 in Belgium, during the battle of Dead Man's Ridge and died on January 10, 1945, the day of his twentieth anniversary. His body returned stateside in 1949 and he his now permanently buried at Maplelawn Park Cemetery, Paducah, McCracken County, Kentucky.